Album Launch and Dedication by Aijay Richards. Title:- Absolute Expression. 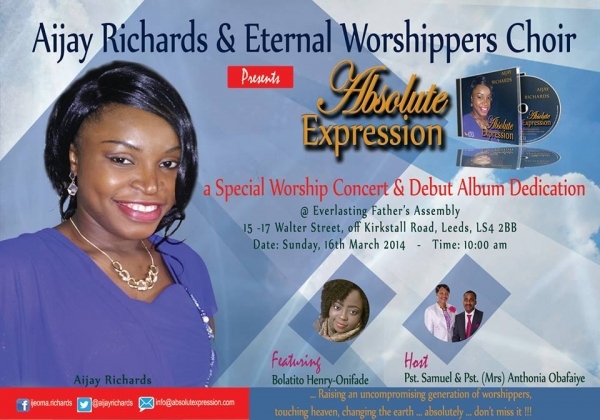 Aijay Richards is a music artist and a member of the Eternal Worshippers (the Host Choir of RCCG Everlasting Father's Assembly, Leeds, West Yorkshire). Copyright © 2014 RCCG Everlasting Father's Assembly, Leeds All rights reserved.